September | 2017 | Mike Lamberti, From Margate To Cleveland, And Back ! 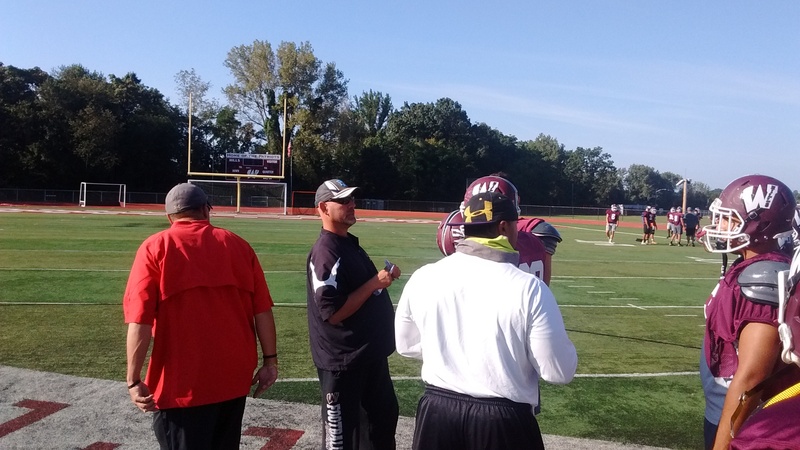 Forty eight hours removed from a 38-0 loss in the season opener to Canon McKinley High School in Canton, Ohio, the Wayne Hills Patriots were back home, watching film and getting ready for practice on Labor Day. There’s no time to dwell on a loss, with arch rival Ramapo on the immediate horizon, in a 7 p.m. kickoff in Franklin Lakes on Sept. 8. Following Ramapo, the Patriots have a home game with Roxbury then travel to Old Tappan, before a bye week at the end of September. Head coach Wayne Demikoff discussed the mistakes on defense, which led to big plays by a good Canton McKinley team. “Were they good?” Demikoff asked his team. “Yes, they were. Did we make them look better? We sure did. How many times did they start with the ball inside the 50 and score? You can’t give a team like that chances and expect to win. Their speed was a factor, but when we did our job at the line of scrimmage, we made plays. I thought our line play was okay. Offensive coordinator John Jacob took his turn in talking about the team’s performance. 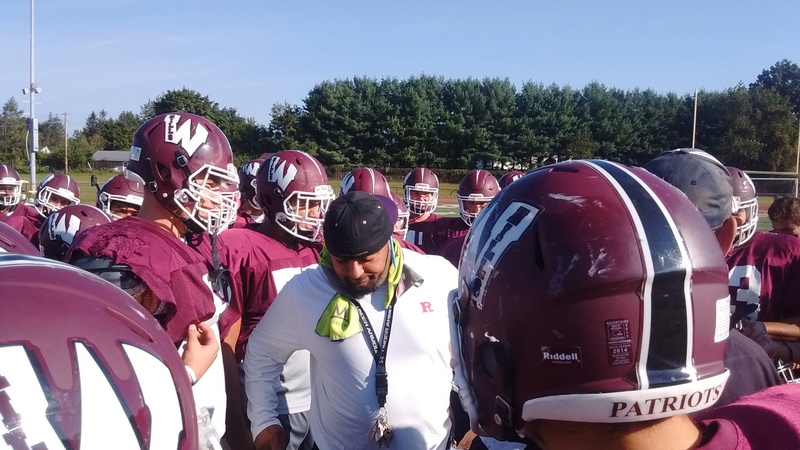 John Jacob talks to the Wayne Hills players before practice on Sept. 4. (Click on photo for larger image). Jacob then issued a challenge to the team. Line coach Claudio Canonaco also chimed in. “I see our best player, on every play in practice, trying to get better,” said Canonaco. “That’s what you should all be doing. The focus is on Friday’s game, at Ramapo.